The ideal place to start hopping along the coast and the Great Barrier Reef is Haggerstone Island, a little-known jewel of caster-sugar sand and luxury wooden huts. It’s the ultimate romantic hideaway, and since its maximum occupancy is 12, split across just four huts (each with their own stretch of pristine sands – we know, what a dream) you’ll enjoy a true Robinson Crusoe, barefoot luxury experience. An all-inclusive resort with a vast array of incredible activities to offer, your four nights on Haggerstone Island will pass in a haze of relaxation and lazy explorations of stunning natural beauty. Take time to snorkel, kayak, fish and beach comb, all the while soaking up the serenity that abounds here. And when you fancy extending your adventures beyond the crystalline shallows, take advantage of the resort’s 40ft jet-boat available for you to use at any time to discover the waterways and reefs that lie a little further out. From your island paradise, you’ll head back to the mainland. But this isn’t to say you’ll be caught up in the buzz of modern civilisation. Instead, you’ll be transported to yet another exclusive hideaway – the Silky Oaks Lodge and Healing Waters Spa. The clue is in the name when it comes to just how peaceful this hideaway is. Sitting pretty above the Mossman River, surrounded by the lush foliage of the Daintree Rainforest and perfectly situated for day trips to the Great Barrier Reef (UNESCO sites on all sides, no less), you’ll spend three nights in utter bliss here. Days will consist of spa treatments at the on-site Healing Waters Spa and meanderings along the river in the complimentary canoes. We’ll also arrange a full day private tour of the Daintree Rainforest for you, including a chance to interact with local indigenous people. A calm oasis with a dash of culture and adventure; this is what luxury travel is all about. From rainforest to the sea, your next experience involves gliding across the water on a luxury catamaran as you finally discover the delights of the Whitsundays. The boat has just four cabins and enough staff to pander to your every need. Coming in from a swim or canoe trip? They’ll have a warm towel ready for you. Thirsty? An array of ice cold drinks will appear in a flash. 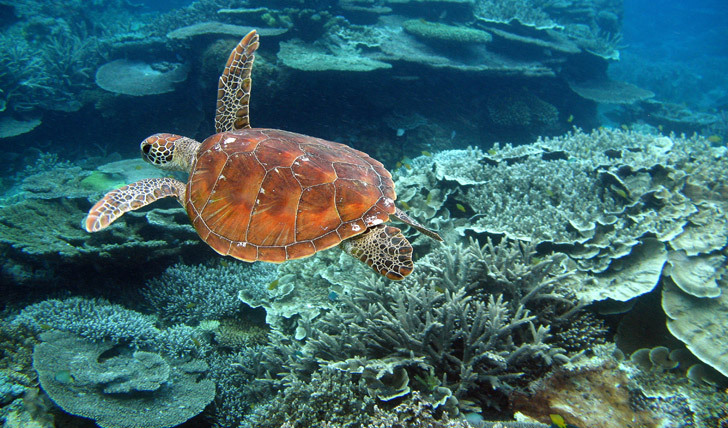 Spend three days snorkelling above multi-colored fish (the crew know exactly where to stop), turtles, and bright coral while hopping from jungle islands to sandy havens and indulging in delicious, fresh meals. 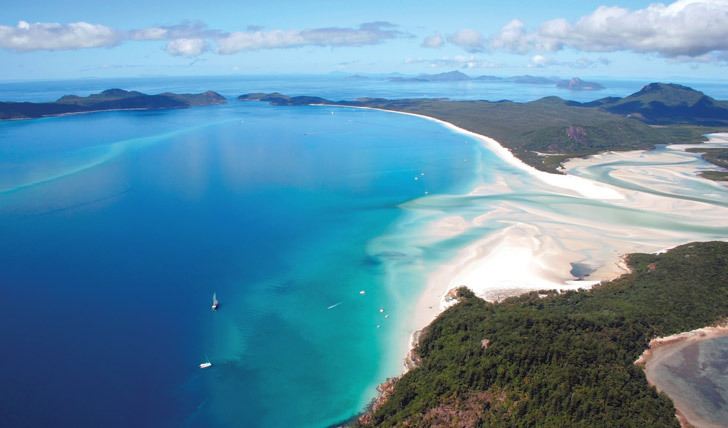 This is the ultimate way to appreciate the beauty of the world-famous Whitsunday Islands. Finishing off with a couple of days on Hamilton Island is a must. And we say do it in style. The unique positioning of the boutique hideaway of qualia, with its views over the stunning Whitsundays, will seduce even the most experienced luxury traveler. Spend your last island moments floating in your private infinity pool, windsurfing, snorkelling, scuba diving and kayaking in the crystal clear waters of the Coral Sea, before waving goodbye to the reef and heading home with incredible stories and even more amazing photos (if you remembered your waterproof camera, that is).